Craster is a small fishing village between Alnmouth to the south and Seahouses to the north. It was originally both a fishing port as well as a port for local quarry stone. Now it is famous for it’s kippers and being the best place to get to the ruins of Dunstanburgh castle. The coast around Craster is quite rocky and dramatic. For a sandy beach you need to travel a little to the north to Embleton. Parking in Craster is really restricted to the small carpark just to the right as you enter the village. Most coastal houses in Northumberland were built set back from the sea. However in Craster there are cottages literally on the sea front. There is a wonderful walk up to the ruins of Dunstanburgh castle. The castle is managed by English heritage so you will have to pay for access. Locally caught kippers are smoked by l Robson and sons who have, in the past, supplied the Royal family. There is a factory shop where you can also purchase them. A short walk south will bring you to Howick hall with its gardens and tea house. It was here, in the 1830’s, that Earl Grey tea was invented. Close to Howick is an archaelogical excavation which unearthed the earliest middle stone age round house in Britain. 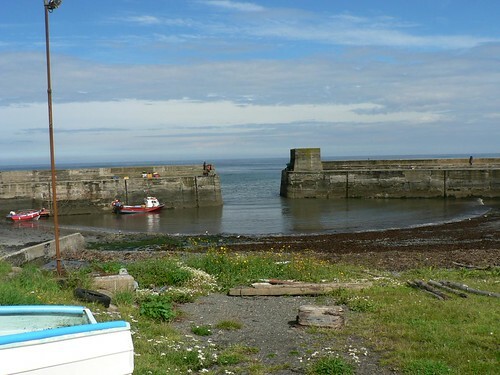 Accommodation in Craster is rather limited with a few self catering holiday cottages. However there are plenty of other cottages nearby at Embleton, Beadnell and Alnmouth. 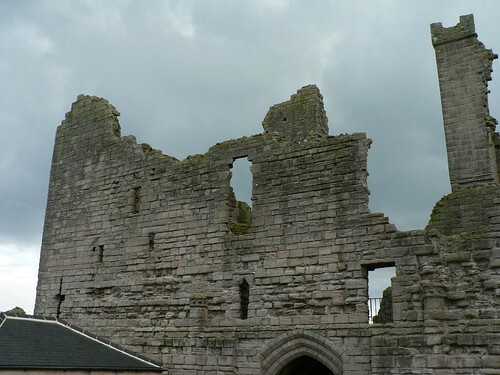 Other nearby villages or towns include Seahouses, Bamburgh and Alnwick with its castle. This article was written by Mike Holly who has been exploring cottages around Craster.